Picture this: You’re on a packed rush-hour train, listening to music on your headphones and reading your smartphone. It’s too crowded to see your destination, and you miss your stop. In the not-too-distant future, you won’t even need to look up. It will be your nose that tells you where to get off. If all goes according to plan, all 30 stations on the Yamanote, Tokyo’s central loop line, will have unique “scent alerts” functioning much like the current platform melodies. “We already know that our olfactory system controls instinctual behavior,” Morita said, explaining the concept of sense marketing. “Through an evolved sense of smell, animals can identify safe food or dangerous predators. And, as perfume makers know, it’s how we single out and lure suitable mates. 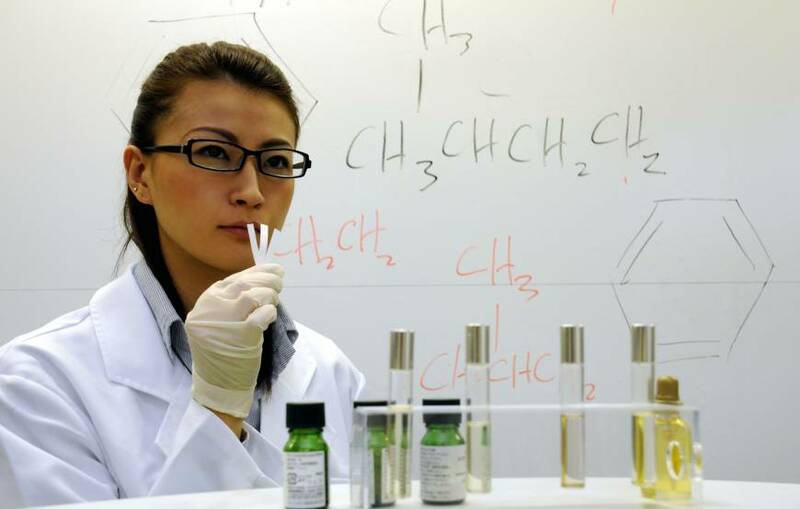 Morita was given several years to find how to control the right scents on a massive scale. After several years of trial and error, the EkiKA project made its first real-world foray with action-oriented aromas. For the initial AOA test, which took place at an undisclosed location, a subtle peppermint/eucalyptus blend was wafted into trains running in the morning. In the evening, weary commuters were treated to a calming lavender-based scent. To the team’s surprise, though, local companies later reported a noticeable increase in productivity. With this in mind, Hanada said, JR East is also envisioning aromas as a possible deterrent. Tokyo’s overcrowded train carriages are one of the railway operator’s biggest headaches. However, with powerful nebulizers attached to carriage exteriors, a specific train car could emit microbursts of an ammonia-based odor at the appropriate times. “Only people with a very dull sense of smell will be able to get near a deterrent-emitting car,” Hanada added. As for the station scent alerts, Morita said they’re still under development. The smell of incense has been proposed for Sugamo, fishmongers for Okachimachi and musty books for Kanda, but Morita admitted that reaching a consensus for 30 unique scents will not be easy. With that in mind, JR is sponsoring a survey in which anyone can vote. What smell should represent Tokyo Station? Let JR know. Participants in the survey will qualify for a lottery to win multilingual scratch-and-sniff cards that will — once the project launches — help commuters identify the station-alert scents.